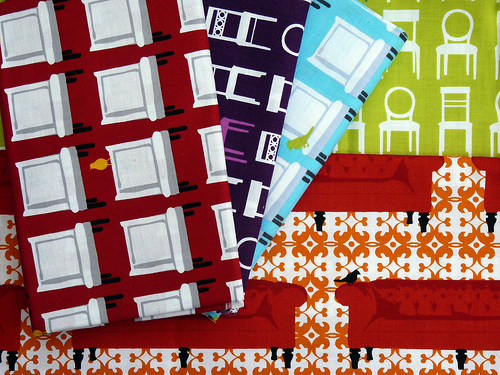 I love the vibrant colors of these fun fabrics and cannot wait to make a quilt - definitely one for the couch - from these quirky prints. I am loving these fabrics, the more I see them, the more I want to use them in a quilt. 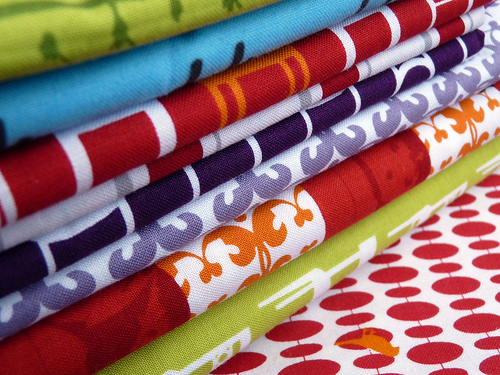 You always have the most gorgeous fabrics. I love thoes tufted tweets! What oh what will you do with these? Should be interesting! 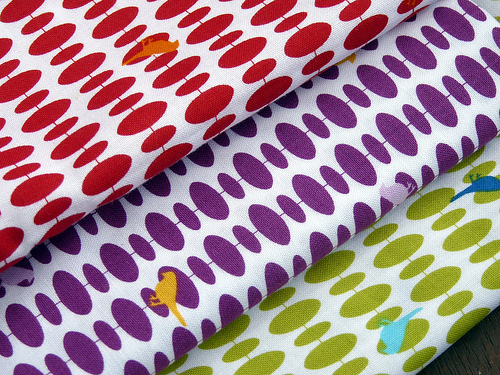 I love Tufted Tweets, such vibrant colours and fabulous fun designs. Yummy! I can't wait to get mine! Mine should be arriving this week. You almost forget there are "tweets" until you begin cutting, but then you hear birdsong. I've had my eye on that print! Love it! I was so pleased for Laurie when she was picked up by a big fabric house. She started just printing her own fabrics thru Spoonflower and selling them online - and now look at her! I am trying not to buy any more fabric but your stash photos are swaying me to the dark side!! !